Whilst Rebecca dabbled in yoga throughout her life, it wasn’t until her first pregnancy that the full extent of yoga’s benefits presented itself to her. Yoga was a source of calm, strength and empowerment that got her through not only the birth of her first child but life on the other side! Her passion (and need!) for yoga has only grown since having her other two children. Since completing her Diploma of Yoga Teaching Rebecca has taught general classes, prenatal, kids, and seniors, as well as corporate and private classes. 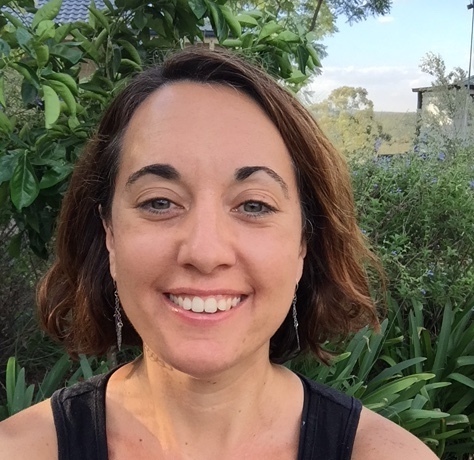 She also teaches Active Birth Workshops and facilitates the monthly meet ups of the Positive Birth Movement, Glenbrook Blue Mountains at Glenbrook Yoga Space. Pre-school, Primary 1, Primary 2 and High School Yoga Teacher training with Suzanne Ellis at Kids Yoga Education (2017). Her classes aim to enable students to find their own sense of calm, strength and ease. Favourite yoga pose: Savasana !